So, if you're looking for my Tiddly Inks card, that's in the post under this one. 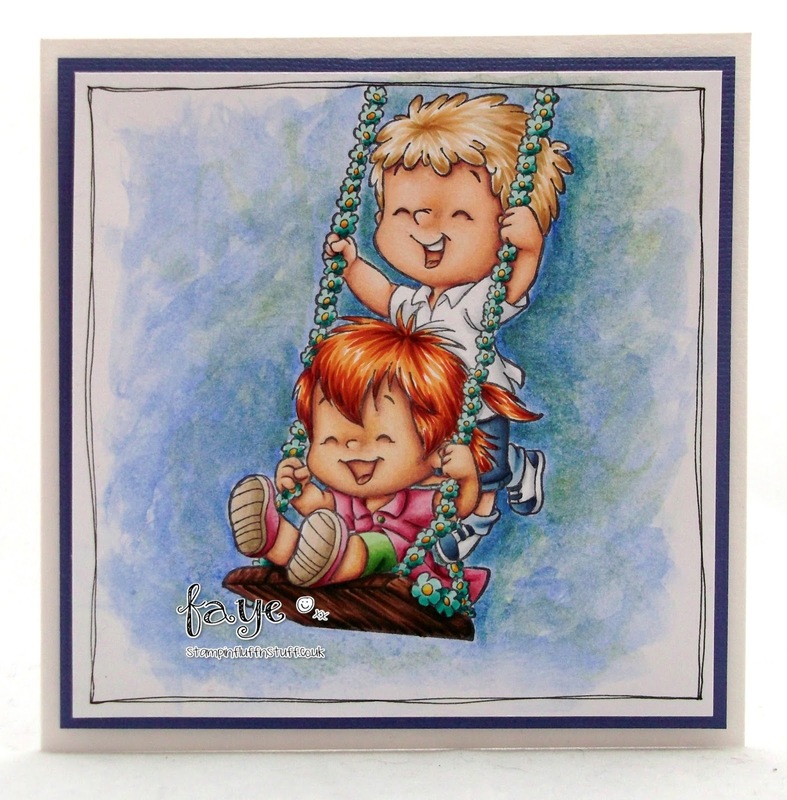 Otherwise, I'm afraid I'm going to show another of the newest releases, Robertos Swingin' from C.C.Designs. This cutie will be available at 12 Noon, EST, on Thursday. Just sayin'. A few weeks ago, I played around with painting a background with Copic Re-Inkers and a Waterbrush loaded with Colourless Blender. It didn't look too bad, but, in my wisdom, when I finished, I decided to swoosh over the whole lot with Colourless Blender, and then lost all the texture. Doh. (This is not what I said at the time.) Anyway, I decided if I wanted to create a watercolour background, I might as well have a go at smooshing some watercolours around. I have long been a fan of the beautiful scenes my lovely friend, Delphine, does. 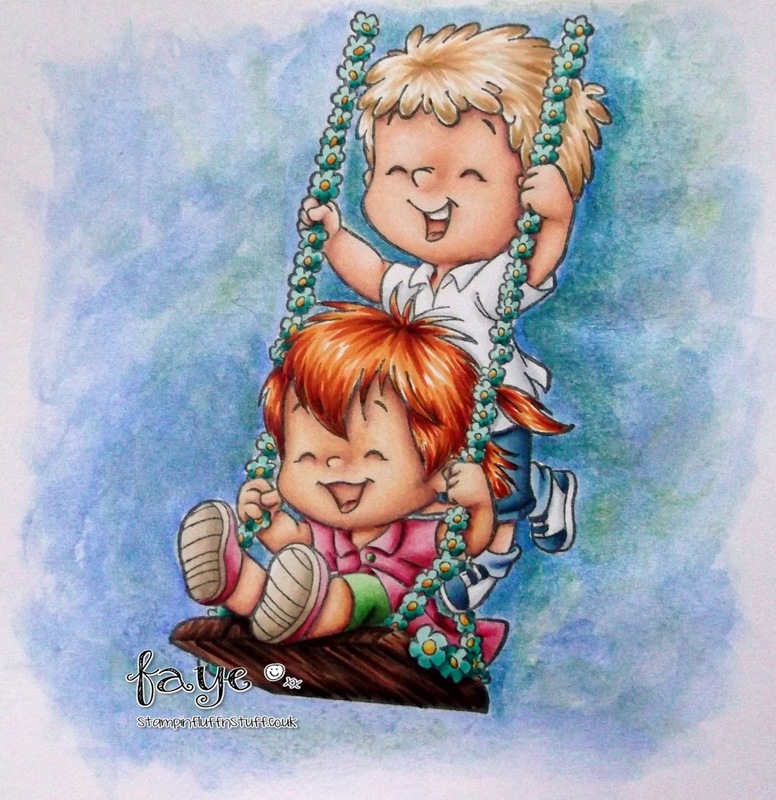 Watercolours, Pencils, Pastels, Copics, she does the lot! I've been missing in action for a few days ... but am back and trying to catch up!! Sooooo difficult! 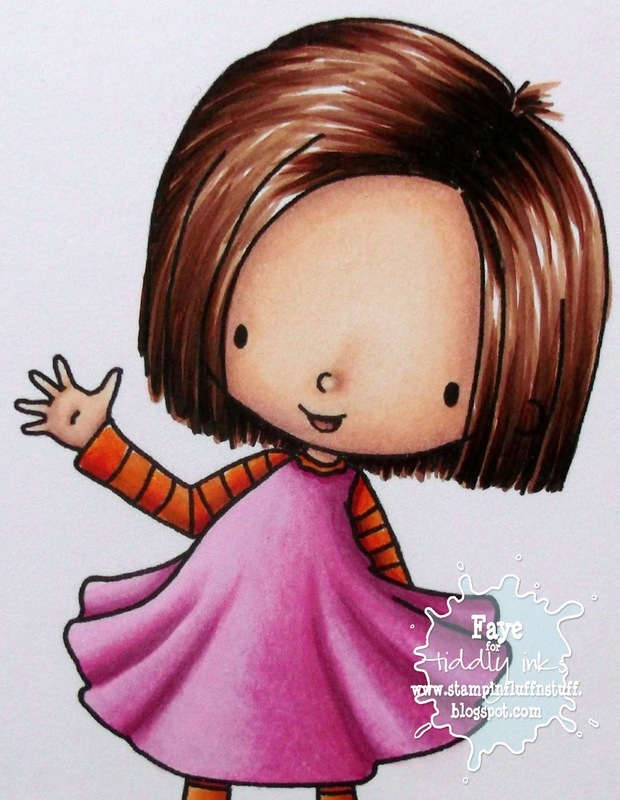 Looking back on your latest creations... my very fav has to be Fabulous Ellie....... but then again, she is only fractionally ahead of all your wonderful other creations hon... I LOVE THEM ALL!! what a totally awesome image and your coloring as always is exceptional!!! Stunning colouring Faye. Backgrounds scare the hell out of me! Really should give them a go! WOW! 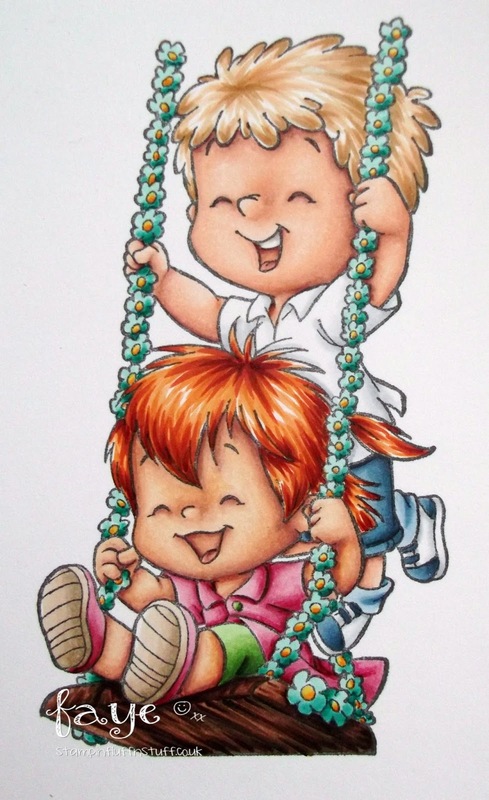 Such a cheerful image and your colouring is outstandingly brilliant! Gorgeous colouring of the image and the background is so amazingly beautiful! You have certainly nailed the background. This is really beautiful Faye I love the image.